A few years ago, I asked myself : "How can a teacher change an education system?" The answer, of course, is that a teacher alone can not change an education system. A system is not one teacher. A teacher can learn how to dance publicly and let others join him or her. A teacher can document the dance steps so that others may follow long after he or she is gone. Here I am dancing openly again in this blog. A teacher may understand that a single choreography can become a dance phenomenon. It doesn't need to be classical dance. Anybody for the Harlem Shake? 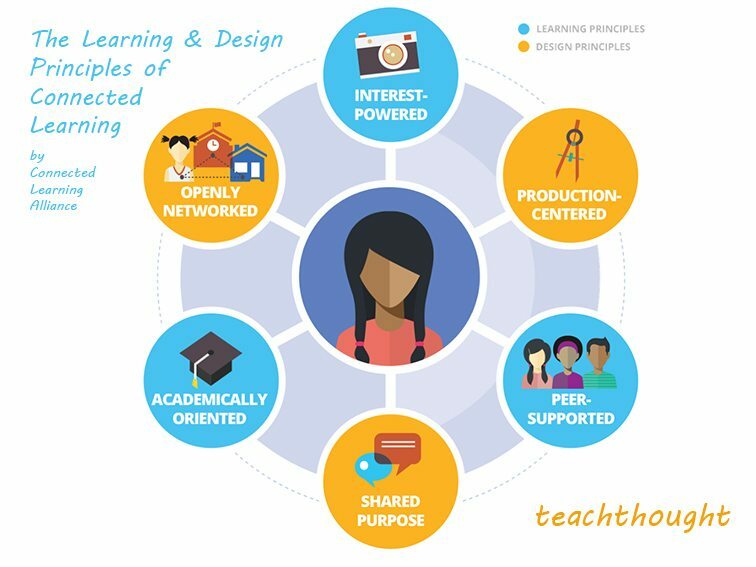 About a year ago, I was documenting some of the change which had been enabled from working as a connected educator. It was called Compagnie d'apprenants. 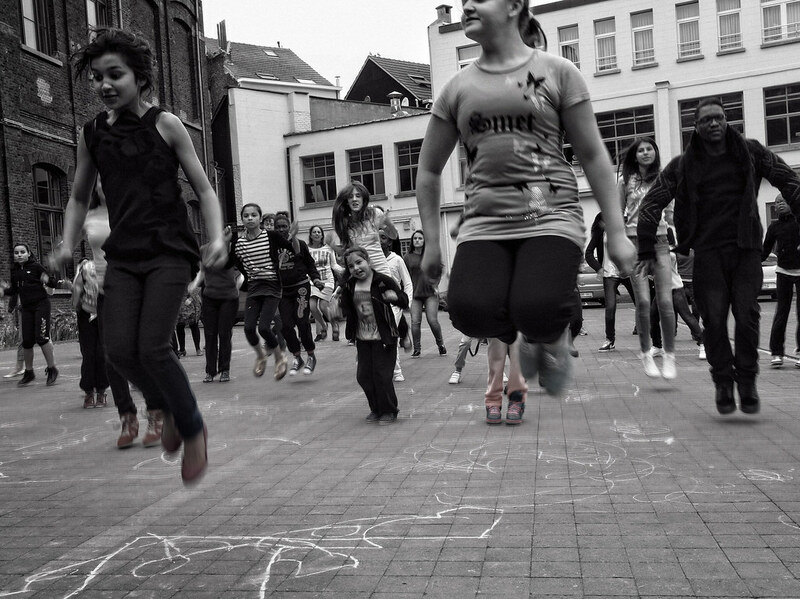 CLMOOC is part of a wider internationally connected dance. A few days ago, I witnessed a virus unpredictably and rapidly spreading and mutating again. It reminded me again of the importance of space for change. You need space to dance. Colleagues from completely different disciplines were using photos from our Nomad's Land Album which we had taken to document our learning journey to illustrate the repurposing of an ex-university library into a new open, modular, connected learning space. I remembered the inspirational work of Stephen Heppell on Super Classes and Learning Spaces. I remembered reading the book of Diane Oblinger on Learning Spaces. I found it hard to believe what I was witnessing. This space would bring the community into the institution and involve learners in redesigning their own learning space. I remembered the work of Juliet Heppell's students in designing their own learning space. 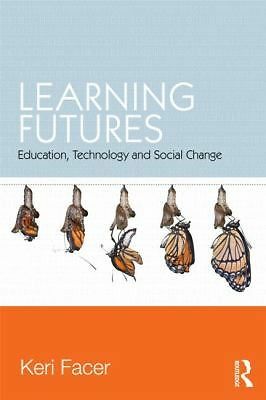 I remembered the talk and book of Keri Facer on Learning Futures. A few days later, I was sitting discussing the importance of open connected, social media enhanced, reflective learning for an international dance class. Last night, I was working on translating an article for an ex-student become athletics coach/international social entrepreneur. I invited him to work with us as a co-teacher/learner in the new open learning space. He seemed happy to contribute. He is one of a growing number of people helping us out. "It takes a village to educate a child." This morning, I am thinking again about changing systems. Change seems so impossible at times. We can feel like we are just a helpless cog in a machine. I am reviewing the dancing man video on Youtube. The dancing man remains for me the simplest model of how to transform a system. The most important person in the system is not the one who leads but the one who follows. U are on stage dancing all the time Kevin !! Interesting question here: Prima facia, there is about an hour and a half of material here if you just click and watch without slowing down. I have been thinking about this since this MOOC cycle started: how much can we fairly ask of our readers? should we create "tl;dr" moments at the beginning of the post? do we need to provide reading maps for different kinds of readers as to what is most weighty and what can be let slip. Part of teaching in my classes has become helping folks filter/curate the info that arises as they work their way through research questions. The newsletters in #clmooc are classic examples of this flood of noise and signal. How to make sense of the sensorium. Our brains do this automatically and we get better at filtering (this is a charitable word, n'est ce pas) as we grow older. But the net is an alternate sensorium. Your post is an alternate sensorium. It is a whole course in a bottle. I am running into these constantly during this make cycle and I am feeling that feeling I get when I see a Chinese buffet and only want a nice bowl of broth and a cup of tea. Skimming, scrubbing, dipping in and out, commenting at will all work to help with this feeling overfull. There is more I suggest to my learners at University, but we don't address this anywhere in our MOOC, but my concern has shot up exponentially as I realize that I am unable to do justice to the work of the community. Or perhaps your intent is not for us to read and watch and consider closely. Perhaps you just want to chronicle how dance and systems and change sync up. I have already spent 25 minutes writing this comment and I have not even addressed the bulk of what you have done. Merde. Not you or the post, just the circumstances that make distracted dilettantes of us all. Absolutely with you there Terry! There is indeed a whole course in this post if u consider the links. My intention is to offer them up here and then come back to the essentials time and time again. Open space, space as change agent, open dance, networking change, online-offline. It's good revision for me as I am in the middle of negotiating all of this at present in my institution. It has taken me over 4 years to get my head around what is presented here not 4 weeks. I am still going back to Alan Levine's connected course stuff a year after he posted it. I see all of this as incompatible with the idea that a MOOC or whatever u call CLMOOC or CCourses is a 6 week course. Yes you are right that for some readers they will be freak - like I did. I see it like learning a language - u can't expect people to understand 50% of the stuff at first - I think it's that realisation I'd push. This is an immersive experience like learning French. Delving deeper is impossible at first unless you have a clear objective - learn all language connected with wine and drinking it.